Himalaya Shumsher Rana carries diverse professional identities and claim to fame. He is the first Finance Secretary, first Governor, an industrialist, a private sector banker, development practitioner, a prudent administrator, an aggressive political activist, an author and a civil society activist, to name a few. 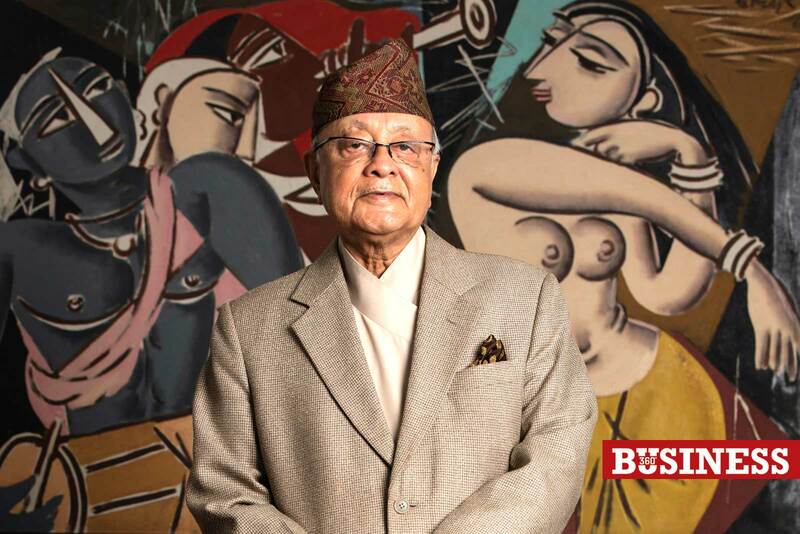 The 88 year old Rana has not only ventured into multiple journeys but has also created his own path, often shaping the landscape of Nepal‘s economic sector. An astonishing aspect is his ability to turn ‘dust into gold‘ with the sheer scale of his achievements. Unflinching courage and leadership skills are what Rana is remembered for but it all came with hard work, consistent self-improvement, focus, decisiveness and the ability to meet challenges head on, he shares. Rana spent five years in Bombay finally receiving a Masters in Arts degree majoring in Economics from the University of Bombay. He was also exposed to new politics, the phase of decolonisation, an understanding of democracy and what it offered to people. Speeches of Gandhi and Nehru, the reverberating sounds of Inqalab Jindabadâ€¦things that led to his self-transformation. Changed forever, the hot blooded young Himalaya Shumsher Rana went on to do his bit to change the political system of his country. He became associated with the Nepal Democratic Congress party formed by some of his clan who were disgruntled with the Ranas in power. He recalls, “Till today, the happiest day in my life is the day when the Rana reign was overthrownâ€. Rana does not hesitate to confess that most of the biggest opportunities and unique privileges came to him due to his favourable situation. But he was not one to rest on the easy laurels. After returning to Nepal, he obtained a Master‘s degree in Economics and was appointed to work in the then, recently established Finance Ministry following the inception of a democratic system in the country. Within four months, he surpassed his competitors on pure caliber to be appointed as the Finance Secretary. “As the Ministry itself was new-born, there were lots of issues and challenges. These were issues that would need high concentration, technical expertise, in-depth analysis of problems, prompt decisions and actions and a good leadership skills which I proficiently exhibited,â€ he reveals. He left no stone unturned to excel in his job. Observing international models, reading and keeping updated helped him reach newer heights. The results: modernisation and reformation of the financial system and civil service within the first four years of his job. “Converting market centers into Customs Department, establishing Excise and Income Tax Departments and founding Office of the Account General were few of the big things I did,â€ he states. He is also the first Finance Secretary to present the budget. The first budget sized just Rs 30 million marked the initiation of exposing the income and expenditure of the government which was never in practice before. He has also been a towering figure for Nepal getting membership of World Bank (WB) and International Monetary Fund (IMF). Late King Mahindra then offered him the position of the first Governor of Nepal. 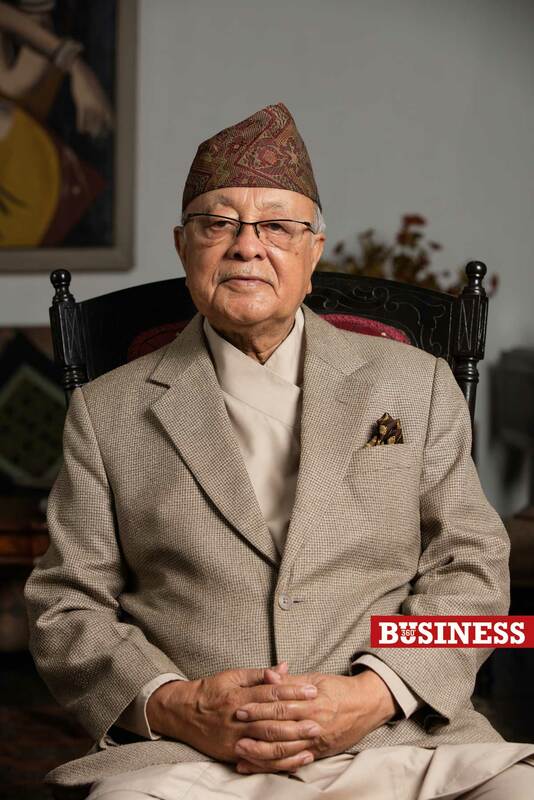 Rana was also a pioneering figure in establishing Nepal Rastra Bank (NRB) for the first time in the country. He was appointed Officer in Special Service and was assigned to make preparatory arrangements towards founding NRB including hiring of staff, preparing the legal frameworks for the bank and developing the organisational structure, among others. Rana today is happy to note that much of the systems still persist at the NRB. As the first Governor at the age of 26, he succeeded, among other things, in making arrangements for the circulation of Nepalese currency in the Terai region, in establishing the rate of exchange between the Nepalese and Indian rupee and in making Nepal independent in foreign exchange transactions. “King Mahendra‘s intention behind establishing the Central Bank was to bring the use of Nepalese currency in the Terai region and in ensuring a standard exchange rate between the Nepali currency and the Indian currency,â€ Rana informs adding, “We achieved both of these agendas.â€ Rana further shares that the wide use of the Nepali currency marked the beginning of integration of Nepal‘s financial system that had previously been divided in several pockets and trading areas. Despite enormous career success Rana was ousted from NRB after the monarch choked the multi-party system in favour of the Panchayat system. He was further tagged as ‘anti-national‘. Sensing further threats, Rana then applied for a UN job and was soon hired in Washington, where not only did he expand his repertoire in education and travel but also achieved top seats in the UN system. Retired from the UN job, Rana was restless to get back to work and this marked his foray into business. He ventured into establishing an international brewery in conjunction with Khetan Group introducing Tuborg beer. The venture was profitable but the partnership fell apart. He then went on to establish one of the first few joint venture banks in Nepal – the Himalayan Bank in collaboration with Habib Bank of Pakistan. He led the bank as its Chairman and witnessed phenomenal success. During his four year long Chairmanship the bank was recognised as Bank of the Year by the Banker, London. The bank also introduced credit cards for the first time in Nepal. “Unlike other joint venture banks of the time, we did not hand over the operation and management of our bank to foreign partners but rather chose to do the job on our own as we had an efficient and qualified team members,â€ he shares. Rana feels strongly that Nepal has so far found no political party working towards the prosperity of its citizens with full commitment. He says, “All parties have only the agenda of pushing their ideology forward.â€ He feels that politics in Nepal is a dirty game and that the frequent change in economic policy in line with political ideology has left the economy in state of flux. He further continues that the economy today is simply the leftovers of liberalisation initiated in the 1990s by the Nepali Congress and vents his ire at the leftists for not continuing in the same spirit and not trusting the private sector‘s capacity. According to him, too-much-politicisation in every sector is the only reason for the country lagging behind. “Nepal‘s bureaucracy is one of the most efficient in the world, but how can it perform well when they have been made as just puppets at the hands of leaders and parties?â€ he questions. Rana does not see positive signs in the immediate future of the economy. Declining agricultural products, rising imports and plummeting exports, growing labour drain, bottlenecks in tourism, and passivity in the production of hydroelectricity are few things he points to. Rana is today active with a few professional and social engagements. He however now wants a life for himself, absolutely free. Reading, playing bridge, golf and music are the other current interests of this highly charismatic personality and driven individual.